Braces provide a familiar and effective experience for kids and adults. We’ll be with you every step of the way, to ensure your comfort and confidence while wearing braces. No two mouths are the same. That’s why Dr. Fox provides complimentary orthodontic consultations to children and adults who may be a ‘good fit’ for braces or Invisalign treatment. Contact us to schedule your free consultation! Invisalign offers a comfortable, nearly transparent alternative to traditional braces. Ask Dr. Paul if Invisalign braces or another alternative may be right for you. Dr. Paul was born and raised in Portland, Oregon. He went to college at Portland State University and completed dental school at Oregon Health & Science University where he earned his Doctor of Dental Medicine (DMD) degree. He pursued specialty training in Orthodontics at the Albert Einstein Medical Center in Philadelphia. Dr. Fox is a family man and loves spending time with his wife (Dr. Dana Fox) and their young child. 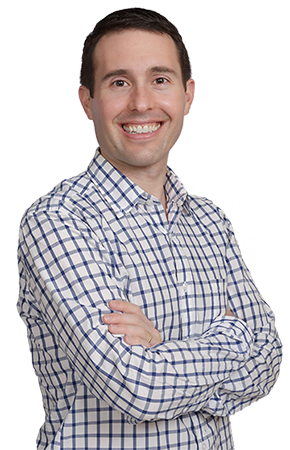 Dr. Fox is a Diplomate of the American Board of Orthodontics, and a member of various state and national Orthodontics associations. We provide a range of financing options from various insurance options to payment plans. If you’re in a challenging situation, but still want to take action for your child’s health or your own, don’t hesitate to reach out. We’ll work with you on a financing plan that makes sense for your budget. Everyone is invited to join our practice. Simply call or text 503-223-5039 and set up an appointment today. A specific referral from another dentist is not needed. Give us a call to schedule an appointment with our pediatric dentist or orthodontist. Easy Peasy. Our approach at Fox Kids Dentistry & Orthodontics is never to pressure you into treatments you’re not comfortable with for your child, or for you. We provide a range of options for orthodontic treatment, from traditional to accelerated modern treatments. We’ll inform you of your options, and always leave the final decision on any course of treatment to you. We want you to feel comfortable and confident with the care you receive from us. 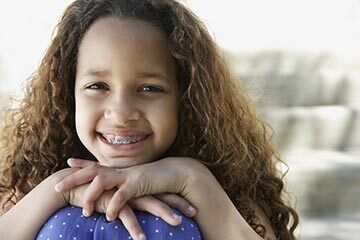 Think Braces Might be a Good Fit for Your Child? We encourage all parents to have their children seen by a qualified orthodontist in the course of their regular dental treatment. We make that easy here at Fox Kids, because our pediatric dentist (Dr. Dana Fox) works right in the same location as Dr. Paul. Initial orthodontic consultations are free, so there’s no reason not to ask if braces might be a good fit for your child. Why Fox Kids for Orthodontics? We understand that there are lots of questions when it comes to orthodontics. Does my kid need braces? When is the best age to start treatment? How long will treatment take? What are the different treatment options? It can be SO overwhelming! That’s why our orthodontist offers complimentary initial consultations to evaluate each patient individually and help answer and alleviate some of the questions and uncertainties. Since your kids may already be seen for cleanings and check-ups in our office, the pediatric dentists will be able to keep a close eye on each child and advise when is the best time for your little one to see the orthodontist. In fact, many times the Orthodontist can pop in during a check-up appointment to take a look and see how things are developing. That way, you’re not wasting your time going to an entirely separate appointment if it isn’t necessary. However, if at any time you would like to see the orthodontist for a complimentary consultation to have things looked over, just mention it to our staff and we would be glad to see you. Orthodontics is way more than simply straightening teeth. It’s about giving you confidence that a natural, beautiful smile can deliver. We create customized treatment plans for each patient that is designed to create a healthy, eye-catching smile that is unique to each person. Additionally, we provide an exceptional orthodontic experience in a professional and caring environment. We want you to enjoy the process just as much as the result! Did you know that Orthodontists are dental specialists who have an additional 2-3 years training in a recognized orthodontic residency program beyond dental school? They have the training, experience, and treatment options to give you the best result possible. By letting an Orthodontist do your orthodontic treatment you can feel confident you are getting the highest level of expertise. It can be very confusing when some kids start showing up at school with braces, retainers, or other orthodontics appliances, usually around age 8 or 9. 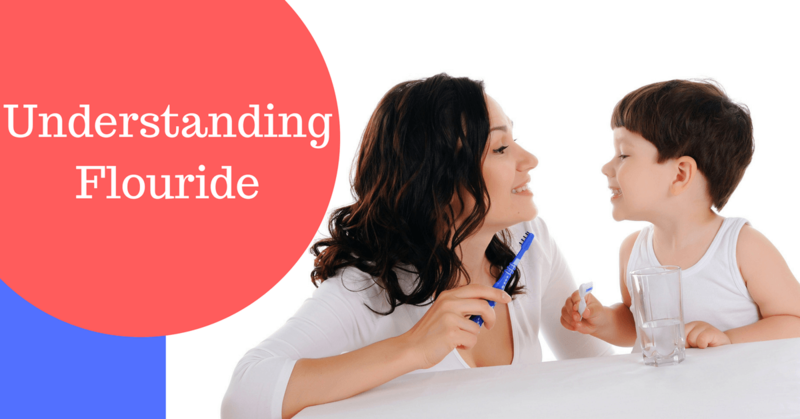 It’s only natural to wonder if your child needs braces at this age also. Rest assured that not all kids require this early round of orthodontic treatment. However, when it comes to orthodontics, like most things in life, it’s better to be too early than too late. So at Fox Kids Dentistry & Orthodontics, we work hard to have our Pediatric Dentists look out for all of the developmental problems that Orthodontists need to correct. If they see something that needs to be evaluated by the Orthodontist, they will let you know and help get you set up with an appointment for a complimentary initial consultation right in our office. That way you don’t have to worry about when is the right time to find an Orthodontist and going through the hassle of dealing with multiple offices. 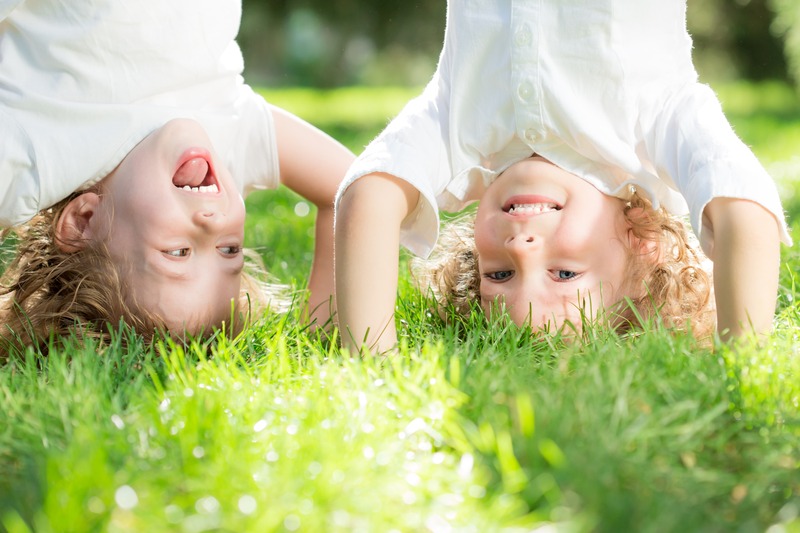 There are a handful of circumstances that can warrant early orthodontic treatment at this age. Orthodontists can detect developing jaw problems and issues with permanent teeth while baby teeth are still present. Sometimes treatment is necessary to prevent more serious problems from developing and can make orthodontic treatment when they are teenagers shorter and far less complicated. 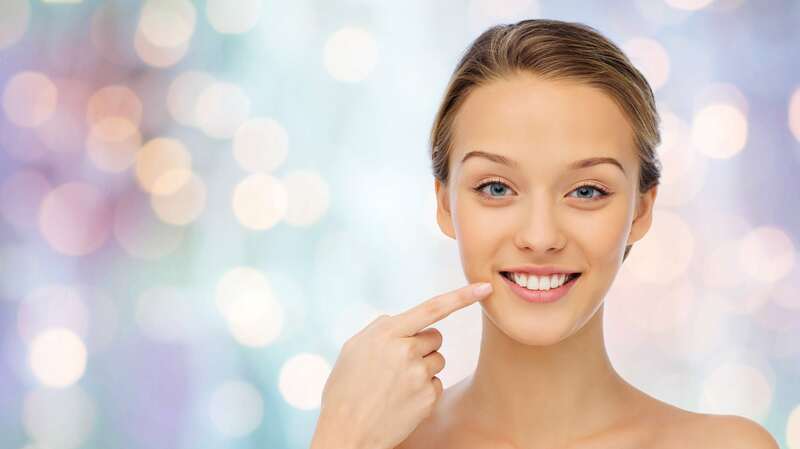 Treatment at this age can give us the ability to guide jaw development, assist the path and position of erupting permanent teeth, fix harmful habits, and improve overall appearance. We strive to always offer the most appropriate treatment at the right time that is unique to each patient. Teens represent the prime orthodontic treatment years. All or most of the baby teeth have fallen out and the permanent teeth have erupted. But they came in crooked. And they need to be fixed, pronto. Let us correct your smile so that way you don’t have to worry about those crooked teeth messing up your prom pictures in the future. Teens are super busy today. We work hard to find the right treatment approach that’ll work into each teen’s life to straighten their teeth and give them an amazing smile. And really, isn’t that what it should all be about? Getting an incredible result using a method that will be successful for each patient. We have lots of great options to make your orthodontic treatment more stylish and we can discuss these at your initial consultation. No more feeling self-conscious about orthodontic treatment. Metal Braces: Traditional braces are still the most common type of treatment modality. They straighten your teeth very effectively with metal brackets and wires. 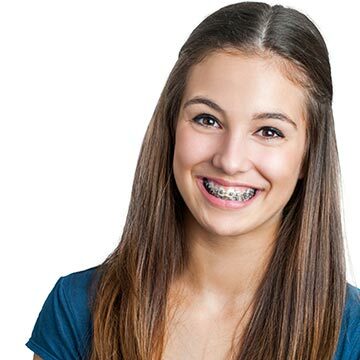 You always have the option of dressing them up with different braces colors at every visit to give a unique twist to your smile. Clear Braces: Ceramic braces are made out of a clear, tooth-colored material that won’t be as obvious as the traditional metal counterpart. Invisalign Teen®: Invisalign is becoming a very popular treatment choice with teens. There are many advantages to using Invisalign, which we can review at your consultation appointment. They work by using a series of clear aligners similar to thin mouth guards that progressively straighten your teeth. Work downtown? Want to find a convenient location by the office to get your teeth straightened out? Or maybe you’re tired of the appointments being all about the kids and want to make it about you too. We got you covered! Yep, that’s right; we treat adults at our practice also. More and more adults are turning to orthodontics to fix their own smiles than ever before. If you’ve never had orthodontic treatment or if you had braces as a kid and your teeth have moved since, there are great options to make it much easier for adults to straighten their teeth. Don’t let those annoyingly crooked lower front teeth prevent you from smiling in photos anymore! Metal Braces: Classic, tried-and-true braces. Always a great option to get a great smile. They’re still metal, but way smaller and better than they used to be. Adult braces can be a great option. 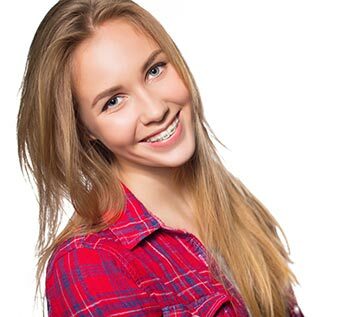 Clear Braces: If you’re saying to yourself there is no way you would be seen in traditional braces, and want to avoid the metal mouth look that your teenager has, then maybe clear braces are the answer for you. They function just like metal braces except they’re clear. Brilliant! Invisalign: Um, braces? No chance! Well then, Invisalign is probably for you. Often referred to as “Invisible Braces,” they are a series of clear, removable aligners similar to very thin mouth guards that straighten your teeth. This makes it far easier to brush and floss your teeth, and there are essentially no dietary restrictions! 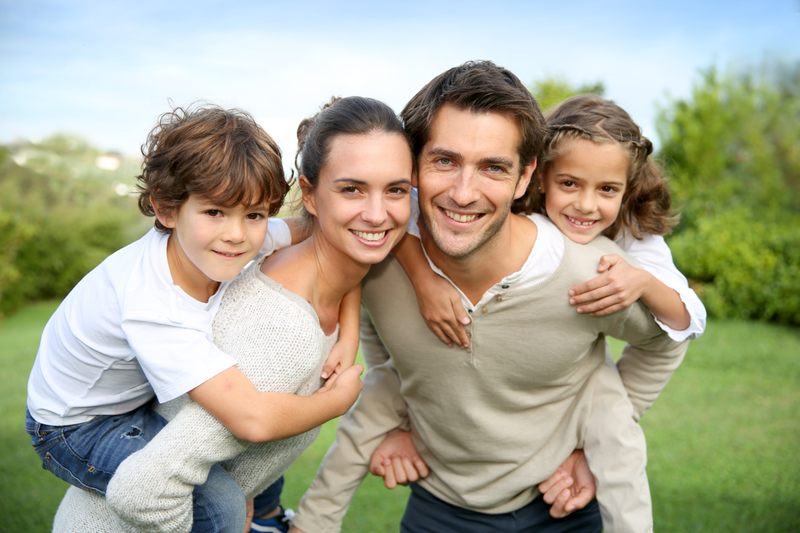 When choosing an Orthodontist in Portland, it’s important to keep a few things in mind. Firstly, does the orthodontist work with your insurance? Fox Kids accepts and will bill all major insurance companies in the Portland area on behalf of the patient for orthodontic treatment. If you don’t have insurance, or are within your deductible, we’ll work with you to set up flexible payment plans that make sense for you. 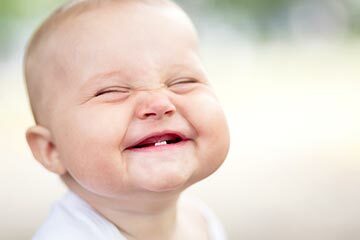 We never want finances to keep you from smiling your brightest smile! Second, is the Orthodontist nearby? Dr. Paul Fox practices orthodontics right in downtown Portland. We even have parking vouchers available so you don’t have to worry about parking. Third, does the Orthodontist understand children? 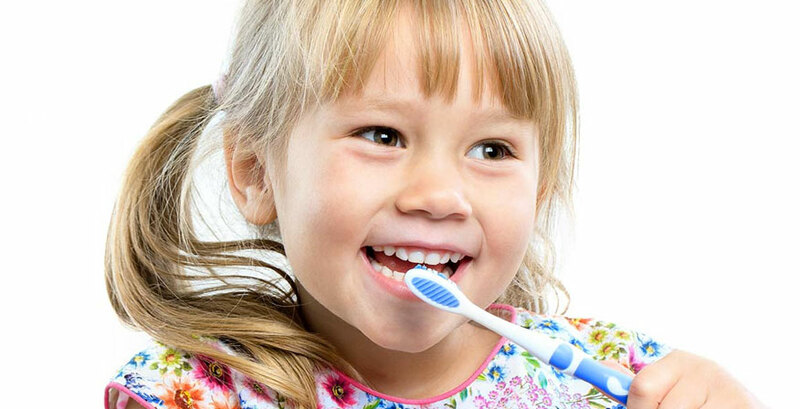 Fox Kids Dentistry & Orthodontics specializes in dental and orthodontic care for kids of all ages. 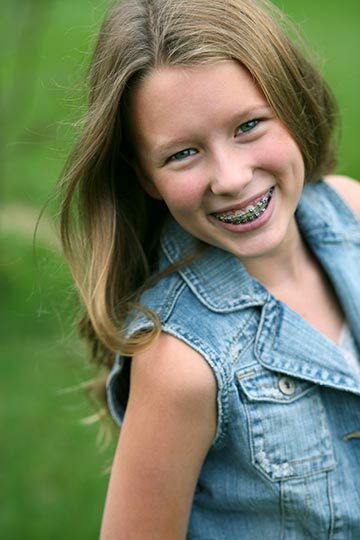 Many of our dental patients appreciate the seamless transition to orthodontic treatment as they reach adolescence. We’re grateful for the amazing reviews we’ve received from kids and parents alike. Does the Orthodontist respect me as a parent? 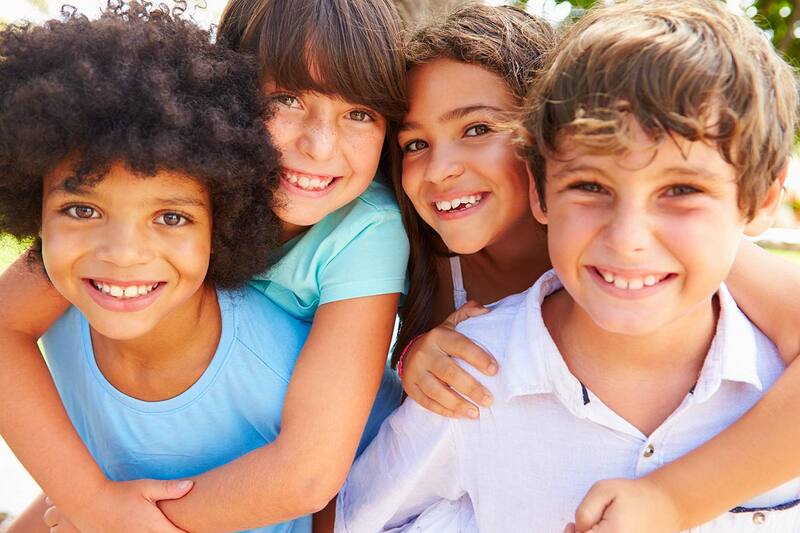 When you come to us for orthodontic work, we collaborate with you to determine the right plan for you or your child. We recognize everyone’s needs are unique. Dr. Paul will spend time with you and talk to you about your choices. Together, we chart a course parents, children and orthodontist are all on board with, for the best possible outcome for your teeth and for you. Our vision? Youth and adults with the brightest, most confident smiles. Pediatric orthodontic work can help kids feel better about themselves and be more comfortable in their skin — just the sort of positive mentality Portland residents love to embrace. Do you or your child need an orthodontic evaluation? Call us at 503-223-5039 to schedule your visit to our downtown Portland location!